Tired of wearing false lashes or constantly applying layers of mascara? Lash lifts and extensions may be able to help. These services are designed to give your eyes a natural, widened look by enhancing your lashes either through their length, curve, color, or all of the above. Lash lifts and extensions are non-invasive and can reduce the need for extra eye makeup over time and are a great way to brighten your eyes. Lash lifts are done using a chemical solution to give your lashes a semi-permanent lift, naturally curving them upward. Much like the effect you would receive if you use lash curlers, lash lifts are designed to void the need for these and give you flowing lashes at all times. This process is great for clients that have flat or straight lashes, or would simply like to widen the appearance of their eyes. It requires no prep work or healing time, so you’ll leave the chair feeling beautiful the minute we finish our work. Lash tinting is also relatively easy and is used for those that want a darker lash color. Some use mascara to give them length and volume, others use it to darken the color of their lashes to complement their eyes, brows, hair, and skin. Either way, lash tinting can quickly give your eyes a more defined and precise look, adding depth and warmth to them. Our lash tint is semi-permanent and will resolve on its own as your lashes grow, typically every 4 – 6 weeks. Our lash tints are always tested on clients’ skin beforehand to reduce the probability of an allergic reaction. 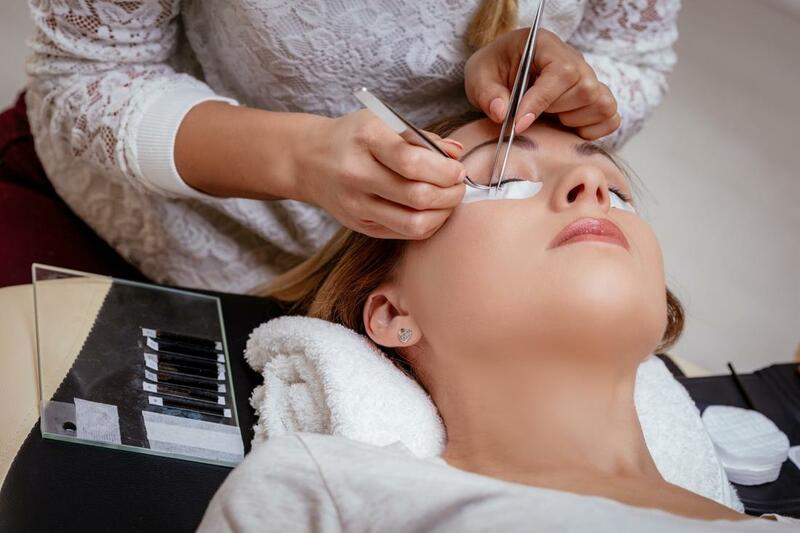 While our lash lifts and tinting services are designed to enhance your natural lashes, they’re also easily customizable to achieve a desired look you want. For dramatic lashes that stand out without mascara, we can easily achieve this using both an intensive lash lift and tinting dyes. Some clients also opt for more natural appearances and we’re able to recommend which would readily deliver subtle changes. Different hair types and eye shapes will require varying levels of lifting and tinting, but we have experience in working with all of the variations and can easily make your lashes beautiful regardless. Before beginning a lash lift and tinting process, we always advise our clients on what to expect for their lashes. This means that, fading is natural and common, and your lashes will gradually grow out and and lose their shape or color over the course of about 4 – 6 weeks. However, due to the easy installation of both of these services, lash lifts and tints are considered more low maintenance than other lash services such as extensions, because they require little extra effort on behalf of client once they have been given proper aftercare. To maintain your lash look, you will need to get them redone once the lash lift has has completely settled or the tint has faded entirely.